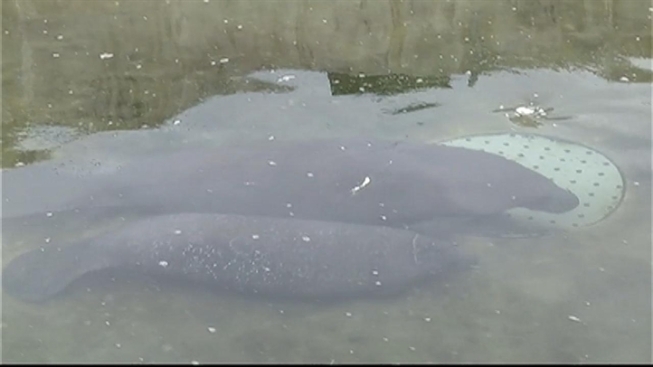 After three months of rehabilitation at the Miami Seaquarium, Okee the manatee is finally home in the Lake Okeechobee area. All 450 lbs. of her were hoisted up by a giant crane and loaded into a truck Wednesday for her journey to Harney Pond Canal near Moore Haven in Glades County. Okee, one and a half years old, was taken to the Seaquarium in June after she was found floating and lethargic in the Harney Pond Canal. "She was seen listing and was buoyant and wasn't able to dive and couldn't stay under water like she should be," said Jodi Tuzinski, animal care manager at the Seaquarium. The rescue was crucial for a species that is rapidly dying out, she said. “They are endangered," Tuzinski said. "They don’t reproduce quickly and we’re losing them pretty quickly." It is still unclear what caused Okee's illness. "We think that she ingested something and she ended up passing it because after about a week she ended up being to swim OK and was able to dive," Tuzinski said. Many times, these types of illnesses are caused by boaters who throw trash into the sea. 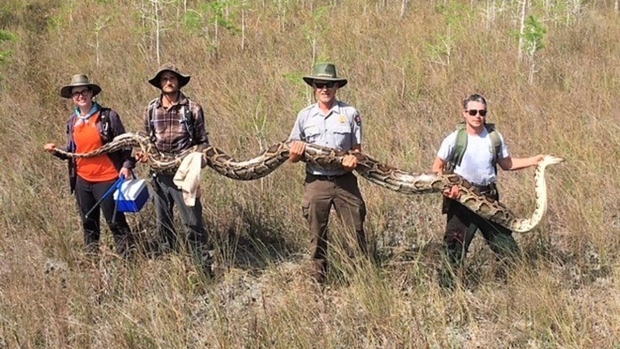 "These guys definitely do eat stuff in the wild and we don't need plastic and fishing line out there," Tuzinski said.